Australian International Film Corporation. 1979. Director: Simon Wincer. Music: Brian May. LP (ST) Citadel (USA). CTV 7020. 1980. 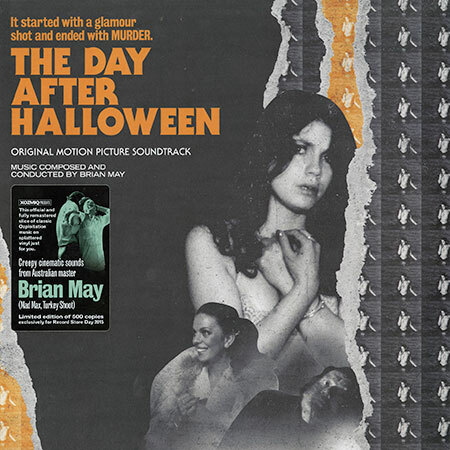 “THE DAY AFTER HALLOWEEN”. 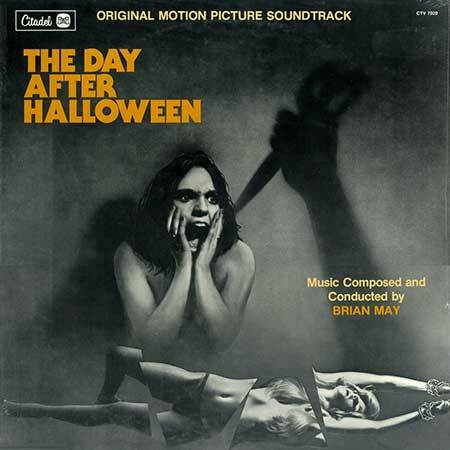 U.S. title - THE DAY AFTER HALLOWEEN. Music Composed, Conducted by Brian May. Recording Engineer: Roger Savage. Musical Assistant: Russell Naughton. Mastering Engineer: Richard Simpson, The Reference Point. Sequencing: Steve Lazur. Produced for Citadel Records by Scot Holton and Tom Null. Executive Producer: Chris Kuchler. Bermuda Cool (Madeline Makes Her Move). (2:24). Danger! The Whippy Van. (1:08). CD (ST) 1M1 records. CD1010. 1989. Includes - “HARLEQUIN”. LP (ST) Xozmiq. XOZ103LP. 2015. Tracks as original LP. Limited to 500 copies for Record Store Day 2015.